Key Account Management (KAM) too often suffers from a one-sided view of the relationship. 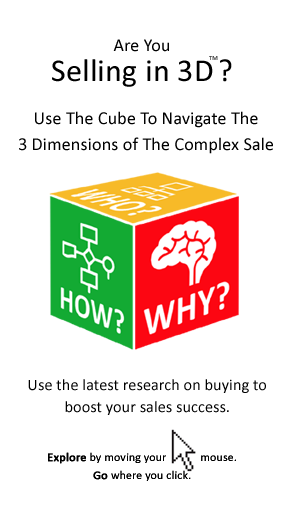 In this insight we will challenge you to adopt the buyer-perspective on the relationship. That includes the tools and concepts used by buyers to manage suppliers. Is KAM Out Of Touch? In one of his most famous hits singer Robbie Williams talks of “God laughing at his plans”. Well change the word “God” with “key customer” and you have described many key account plans. Key Account Plans can become one sided, perhaps even out of touch. That is because the customer typically has little meaningful involvement in their creation and they forget that it is the customer who is ultimately in charge! When this happens the seller is handicapped in developing the relationship to its full potential and leaves him, or her vulnerable to shocks and surprises in the account. How To Make Your KAM More Powerful? Even where the customer is listened to or involved in the account management process, sellers still worry if they are asking all the right questions, or getting all the right answers. This is particularly the case where information, or access is limited. Also where procurement, or corporate changes casts a shadow over the relationship. The result is that the seller is developing the key account plan in the dark. The unilateral key account plan can end up reflecting the seller’s idealized view of the future of an account, rather that a more rigorous and two-sided view of the key opportunities and challenges involved. However look at Key Account Management from the buyer perspective and a new range of opportunities and challenges will present themselves. What Is The Customer’s Take On KAM? The seller is concerned with account management, but what is the buyer’s focus? Well, it is supplier management. That is the buyer-angle on KAM! The more technical terms used by procurement professionals are Supplier Performance Management (SPM), or Supplier Relationship Management (SRM). What is Supplier Performance Management (SPM)? We define SPM as the policies practices and procedures aimed at not just ensuring suppliers deliver what has been promised but that suppliers are leveraged to deliver maximum value and indeed maximum competitive advantage to the buying organization. For some buying organizations it is about ‘cattle herding suppliers’ and squeezing them to the limit, and for others it is about enhanced supplier relationships and innovation. 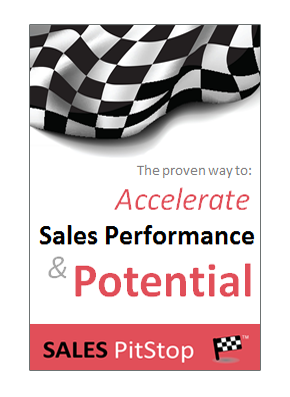 Does your customer have a formal Supplier Relationship or Performance programme? Even if your customer does not have a formal Supplier Performance Management (SPM) programme, or set of policies in place, there is likely to be an underlying supplier management culture, or philosophy within the organization or department (and in particular for your product/category). Of course the approach to SPM will vary depending on, for example, how strategically important the supplier and the product category is, the culture of the buying organization, the role of procurement, the norms within the industry in question and a range of other factors. However, SPM is the background screen upon which your relationship with the buying organization will be projected. Your customer’s present and future plans under any one of the headings could immediately invalidate your KAM. So, see how each one of these can be addressed (either directly or indirectly) in the context of your Key Account Plan. With this in mind let’s examine the 6 key SPM headings in more detail. Your key account plans make assumptions about the level of supplier collaboration, or the desirability of that collaboration for the buyer. But while some organizations adopt a highly collaborative approach in working with key suppliers, while others adopt a ‘treat ’em mean and keep ’em keen approach’. Collaboration is more than just the nature of communication, or interaction with suppliers. It goes deeper, it requires a partnership mindset and a culture of mutual respect and trust. There are different degrees of collaboration, most notably the extent to which the collaboration is two-way and the extent to which it involves access to senior management and the availability of information from the buying side. Buyers can’t and won’t collaborate with every supplier. It takes too much time. So, it has to be worth it from the point of view of the buyer and that typically means the product/service and the supplier has to matter – it has to be strategic. The KAM Question is: How can you foster a collaborative approach with your customer? Your key account plan is likely to make assumptions regarding how many suppliers the buyer wants to, or should have for your category of product, or service. Few anticipate what is an often inevitable reduction in the number of suppliers. Fewer and better suppliers is clearly the motto of the professional buyer. That is because supplier proliferation (typically accompanied by SKU proliferation) increases complexity and cost. Making it cost effective to deal with (or from a systems point of view interface) your company therefore is a key requirement. The trend is towards the culling of supplier numbers. This is often something that is dispassionately imposed upon managers from above. It is both an opportunity and a threat for the supplier. On the other side however the consolidation of suppliers is often resisted by managers who are keen to protect proven relationships and to manage the issue of supply risk. There will be fewer approved suppliers in the future. Knowing the customer’s present and future plans with respect of supplier numbers is important for the seller’s KAM strategy. In particular it is important to position the supplier as ‘the chosen one’. It may even be in the seller’s interest to position itself as the means of consolidating supply – by suggesting longer term bulk contracts, increasing the range of products provided to the buyer and so on. The KAM Question is: Has your customer the right number of suppliers for your category? Buyers are continually reminded of the need for a systematic and ongoing approach to reviewing supplier performance. That includes key stakeholders completing a structured supplier evaluation questionnaire a number of times during the year. The challenge is that while the process should be a two-way one, the supplier may never see the questionnaire or its responses. But, if the approach is not collaborative, what should be an opportunity to plug performance gaps and strive for new levels of performance, can simply result in another excuse to beat up the supplier. So, engaging in the evaluation process is key for the seller. Buyers are also being reminded of the need for careful contract management. That means comparing what is delivered and invoiced against what was contracted with suppliers. The seller that adopts a proactive approach to communicating its results and reconciling proposals and contracts with deliverables will have an advantage. The KAM Question is: How do you facilitate and shape your evaluation by customer? Managing risk is a key concern for the modern buyer, with supplier related risk featuring at the top of the agenda. What would happen if a supplier went out of business, or if there was a strike, natural disaster or other disruption to supply? What would happen if your key project manager fell ill half way through delivery? Buyers are all to aware of the need to risk manage all key suppliers, as well as their supplier’s suppliers. Hence the adoption of an increasingly structured approach to risk management. In planning to grow a key account, sellers must help buyers to identify and manage risk, putting recovery plans in place in the event of disaster and otherwise building resilience into the supply chain. The KAM Question is: How will you manage your buyer’s risk? Organizations such as Pfizer aim to derive a large share of their innovation through its suppliers and supply chain laboratories. Although innovation is at a premium, this approach is a big leap for most customers and their suppliers. There is no more fundamental way to contribute to the success of a customer’s business than through innovation. Suppliers that want to protect their margins must be able to show process or other improvements that will really tempt the buyer. The KAM question is: How can you contribute to your customers innovation? Organizations, such as Toyota, have built their success on long term developmental relationships with key suppliers. They have actively worked with suppliers in their own factories to achieve industry leading levels of quality and efficiency. The buying organisation has worked with the supplier to develop it’s processes and skills so that both parties can share in the resulting savings and other gains. However, such an approach is not the norm. It is motivated by the recognition of a longer term win-win for both parties. That includes the buyer resisting the temptation to achieve a short term gain at the cost of the sellers profitability and actively wanting to ensure the long profitability of the supplier and the relationship.. The KAM question is: How can you make it in your customer’s interests to share their knowledge and skills with you, so that you can serve them better? What if your customers don’t apply SPM? Organizations that don’t take SPM seriously are clearly ‘out of line’. So, if no formalized approach to SPM exists you should expect that one is likely to emerge within the account in the future. That is because SPM is a central tenet of procurement best practice. Too often key account plans are set in a procurement-neutral context – that is they assume the status quo as regards the involvement of procurement, or its influence on strategy and behaviour in the organization. For this reason applying some of procurement’s thinking in terms of supplier management is key. Given procurement’s growing power and influence, its approach to supplier performance will increasingly become the corporate norm.